They are designed for versatile soldering, assembly or repair works. They are characterized with modern design, workmanship aesthetics and high luminescence brightness. 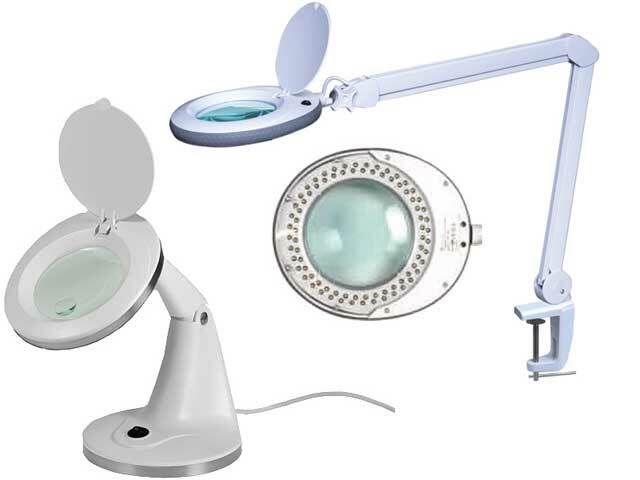 The pantographic extension arm and additional adjustment system of the lamp’s head allow for choosing any position. Lamps are equipped with a glass lens. The offer also includes lamps with LED as well as with traditional – fluorescent lamp backlight.